MOTIVATED SELLER - MAKE AN OFFER! Welcome home to this move in ready home. Perfect for the snowbird, furnished, 2 bedrooms, 2 bathrooms, walk in closet in the master bedroom, separate dining room that is perfect for entertaining. Inside laundry, screened lanai, great floor plan. Outside storage. Living in the Ridgewood community is a very special experience! You see it is a 5 star community with gate attendants on duty 24 hours a day and 7 days a week! That's right! They never leave! It is a place where you get to know and love your neighbors early on! You will soon make precious friendships that will last a lifetime! The community is absolutely gorgeous and abounds with numerous ponds and tropical vegetation! There are activities, dinners and trips galore! 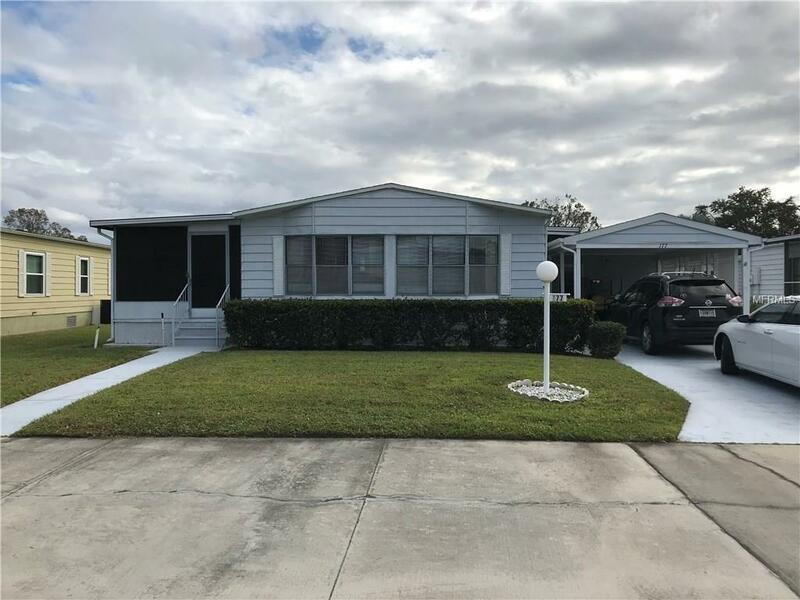 To top it off it is convenient to just about everything whether it is shopping, restaurants of every type and only 25-30 minutes to the beautiful light sand Florida gulf beaches! The primary question is: What are you waiting for! Don't spend another winter with cabin fever in the cold, snow and ice! Come and enjoy the gentle Florida climate and delightful Florida lifestyle that you have always dreamed about at RIDGEWOOD! Pet Restrictions On Leash And Picked Up After. Listing provided courtesy of Reynolds Realty Gulf Coast Inc.